The following link will give you information about the History National Curriculum and expectations in Key Stage one and Key Stage two. Children across the school have been busy making poppies. 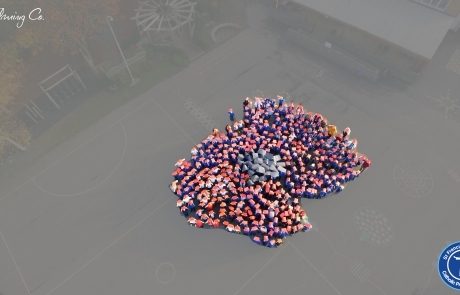 They have been learning why we reflect on the 100 year anniversary of the end of World War 1 which will culminate in a Remembrance Assembly on Monday. 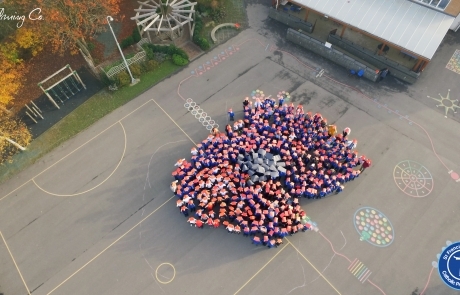 Yesterday afternoon we made a human poppy and were very fortunate to have a professional photographer available to take aerial shots of the event. We will be posting the images on Twitter when they are available. 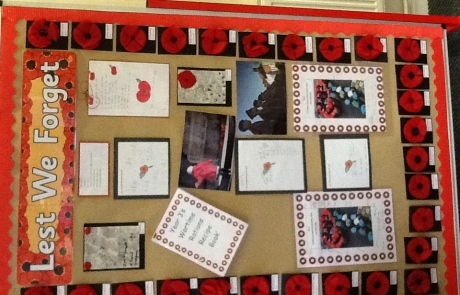 Children have been learning about World War 1 in their history lessons – their work will be displayed around the school. We would like to congratulate the children for their hard work and reverence for the centenary throughout the week.